Red rose bubble tip Anemone . This anemone has red mouth and red oral disc. The tentacles of this anemone stick well and are red. The underside of the oral disc is purplewith a smooth purple column and pedal disc. This bubble tip anemone prefers to attach to piles of rocky rubble and coral rubble, and is maintained under 250-Watt DE-10K bulbs that are suspended 18″ above the water surface in a raceway that is 16″ deep. This anemone is fully quarantined since November and is feeding well on a mix of PE Mysis and finely chopped raw shrimp. The diameter of the pedal disc is 1″ and the anemone is 3-1/2″ in diameter when fully open. November 1st is the official kick off of the MASM Breeding Initiative. We gave you some basic information regarding the Initiative not to long ago via emails and on many of the popular forums with a note that there would be more to come. As promised I come to you with all the details now. 1. To encourage spawning of marine ornamental fish and invertebrates. 2. To share knowledge of captive breeding techniques. 3. To enable more people to participate in captive breeding. 4. 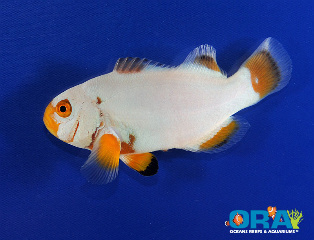 To recognize outstanding achievement in the captive breeding of marine ornamental fish and invertebrates. 5. To create a pool of information for hobbyists and professionals to use in breeding of established and untried species. 6. 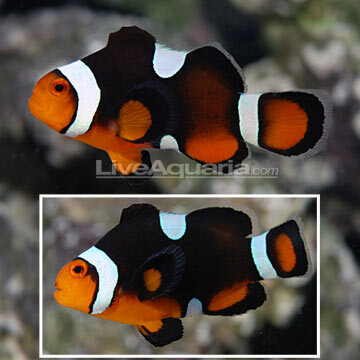 To encourage the reduction in reliance on wild caught animals for the marine aquarium hobby by substituting tank raised specimens for wild caught specimens wherever possible. TimeThe first Initiative will run from November 1st 2009 till December 31th 2010 EligibilityThe MASM Breeding Initiative is open to anyone interested in captive breeding. MASM membership is not a requirement although creating a breeding log on the MASM forum is a requirement. This Initiative applies only to propagation via sexual reproduction. Specimens propagated via asexual means such as fragging or spliting are not included in the MBI. General Species will be divided into classes based on difficulty. Points will be awarded at 4 stages during the breeding process; spawning event, hatching event, metamorphosis, and 60 days post-metamorphosis (or 60 days after birth if live bearing species). Points will only be awarded once per species. In other words, you don’t have to start from scratch every time a pair spawns, but you only get points for that species spawning, hatching, etc. once. 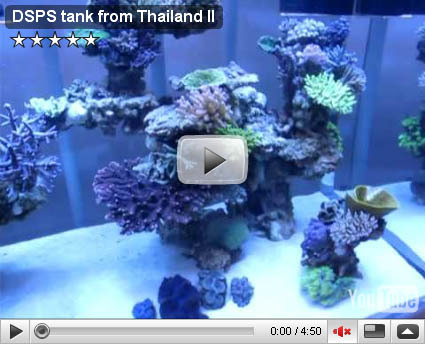 This beautiful 1200 gallon DSPS reef tank from Thailand is just unbelievable. The aquascaping in this tank is very unique, with multiple islands containing shelves and branches. There are about a million Tunze pumps on it, which provide ample flow for the plethora of mature SPS colonies. You have to check out how clean and organized this fish room is (more like a fish suite). This setup has just about anything you can think of, and much more. If only they had a good skimmer on this setup 😉 (you’ll get it once you watch the video). The DA Float switch kits comes with everything you need to hook up a float switch to your ReefKeeper Elite or ReefKeeper Lite system! The basic kit is perfect for custom applications, while our kits w/brackets include everything you’ll need to set up any number of safety floats! 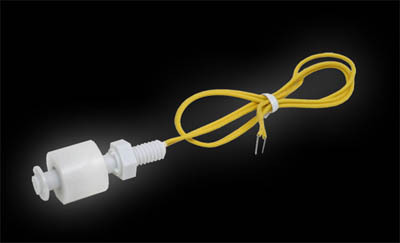 Add the safety of a float switch to your system today! The Digital Aquatics kits come with and installation guide and programming instructions which make it easy to set up. Optional mounting brackets should make installation in most sumps a breeze. Durable, reef-safe plastic and acrylic components should ensure long-term dependable operation. A few suggested implementations for these float switches are: Auto Top Off (ATO) systems, automated water changes, low water level, high water level, and full skimmer cup alerts. Create the ultimate conversation piece. Designed with professionally beveled glass, the unique shape is bent to enhance the view from all angles and creates an eye-catching addition to your home or office. 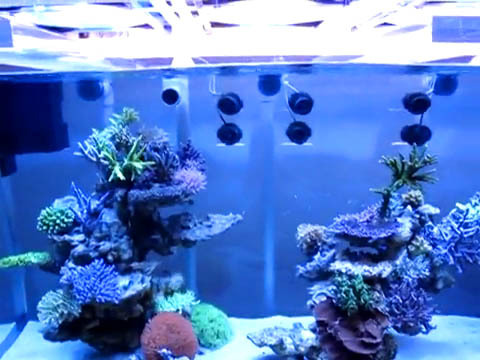 A completely hidden filtration system makes keeping fish easy – and keeps your critters and family happy. Bring stylish design and elegance into your home with furniture quality stands. Each stand is completely assembled and available in three professional finishes that protect the stand from the aquatic elements. 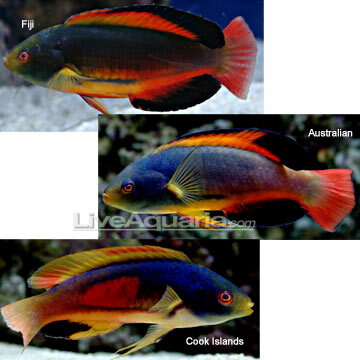 The Scott’s Fairy Wrasse, also known as the Black-fin or Blackedge Fairy Wrasse, originates from the waters of Australia, Cook Islands, and Fiji, and each location represents a color variation of Cirrhilabrus scottorum. The Scott’s Fairy Wrasse from Fiji is also known as Scott’s Greenback Fairy Wrasse and is mostly green in color with a striking black margin on the dorsal fin. Scott’s Fairy Wrasse originating from Cook Islands is bluer in coloration with yellow fins and contains more definitive breaks between the colors. The variety collected from Australia contains more red within the fins and the break in coloration within the body is less dramatic. The male and female of this species are very similarly colored, but when courting, the male will display increased color intensity. 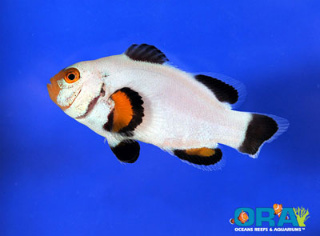 Colors may vary depending on the fish’s mood.